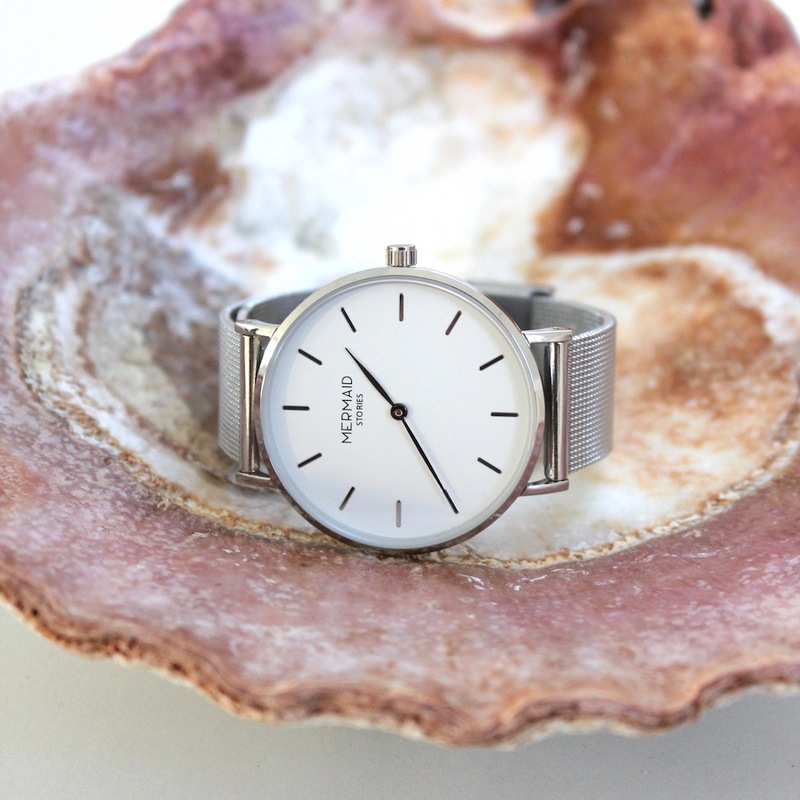 The design of the timepieces by Copenhagen-based Mermaid Stories couldn’t be more purist. Clear and unembellished, they rest around your wrist, with bracelets made of butter-soft, vegetable-tanned leather or delicate stainless steel mesh. 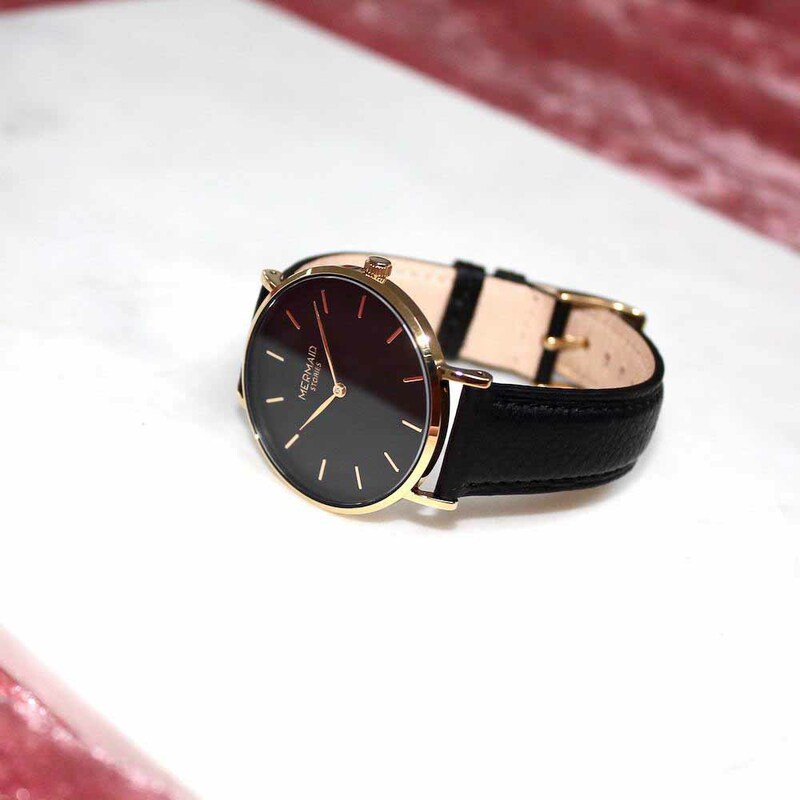 A prototype watch, with a feminine slant. Especially the rose gold versions. 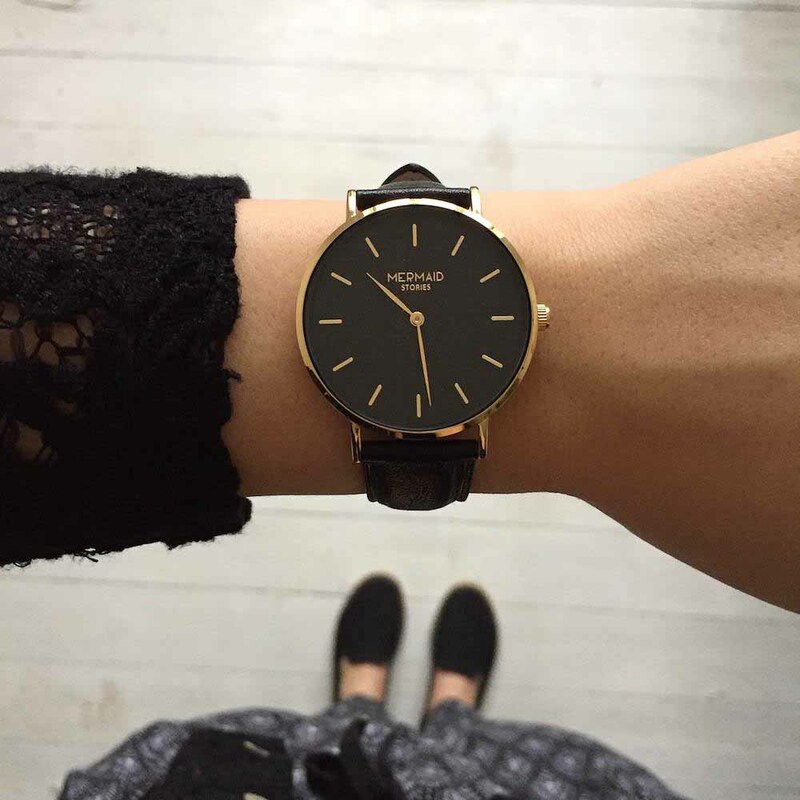 Besides their strong understated-ness, the watches by Mermaid Stories radiate a quiet poetic power. A lightness and gracefulness that I’ve rarely seen in watches. It’s only the wearer, for example, that knows about the tiny mermaid on the back of the watch. 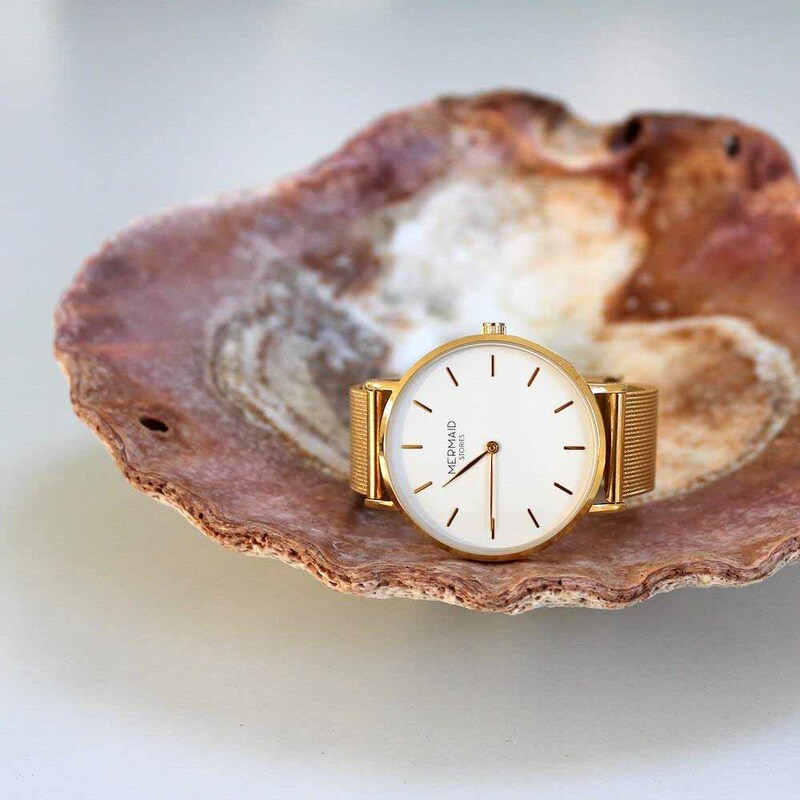 The mermaid stands for the carefree Scandinavian lifestyle; a lifestyle’s that’s defined the watches as well as the recently released jewellery by the young entrepreneur Victoria Weber. It’s been nearly four years since the German artist moved to Copenhagen, where she founded Mermaid Stories during her studies. 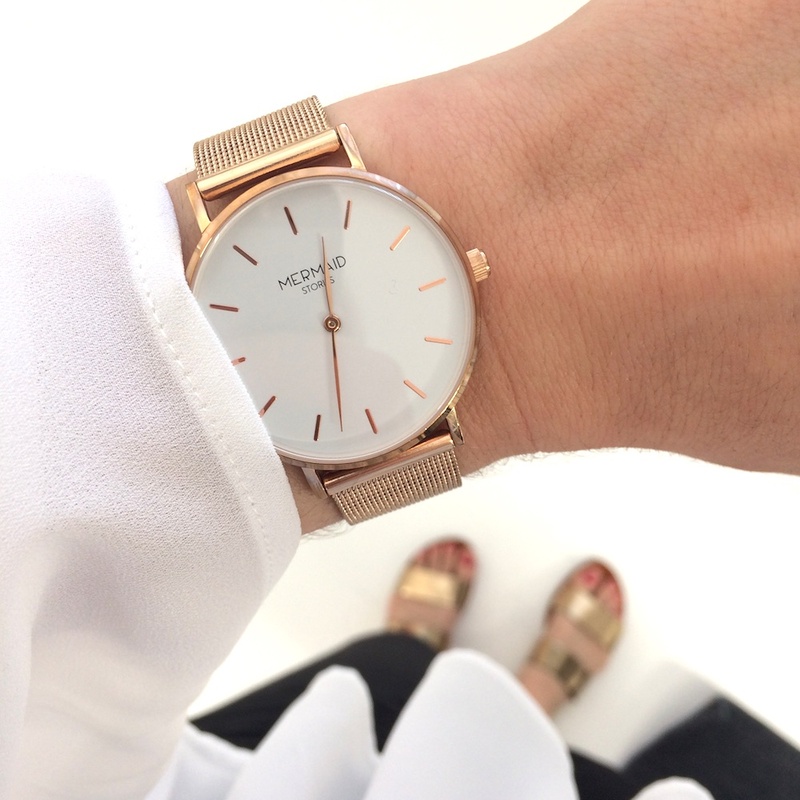 Asking herself why so few women wear watches, Victoria began quizzing women about their accessory habits. A lot of her respondents said that watches were too heavy, too rigid or that they couldn’t identify themselves with any established brand. They wanted something less technical, and at the same time, something that wasn’t excessively embellished. After taking in all the comments, Victoria designed a watch together with specialists: a watch made for a modern-day, confident and feminine woman. By the end of 2016, the first six versions were complete. With a case made of stainless steel and a protective layer of sapphire glass, the watch is also water- and scratch-resistant. Complete with a quartz movement and battery powered by Seiko. Scouring for the very best individual components from various sources, a durable and stylish chronograph was born. 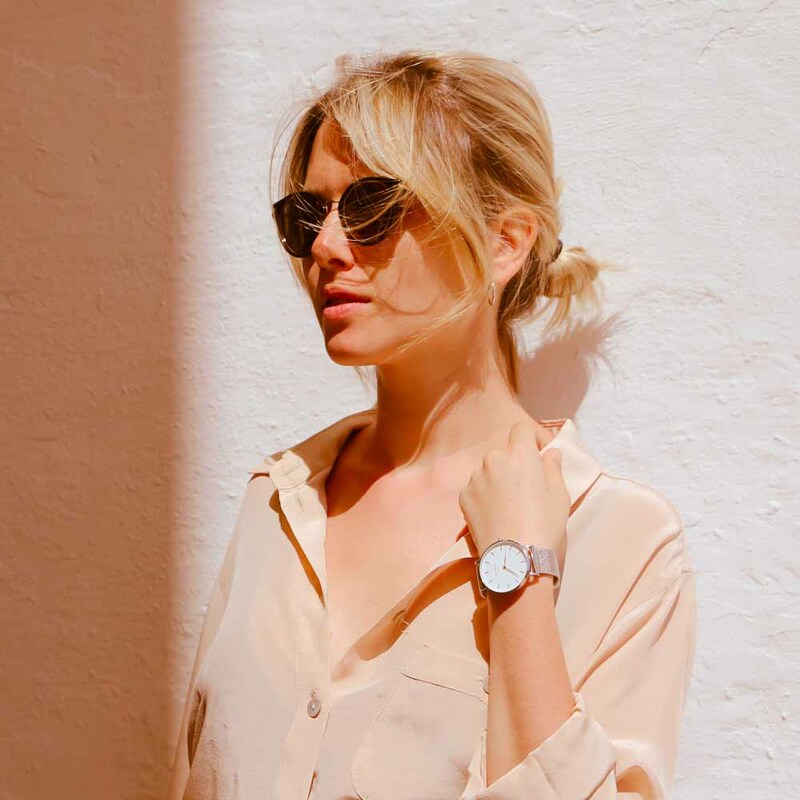 Victoria is especially proud of the made in Germany, vegetable-tanned leather straps, that are soft and supple right from the start. And since chromium isn’t used in the tanning process, they are also ideal for allergy sufferers. 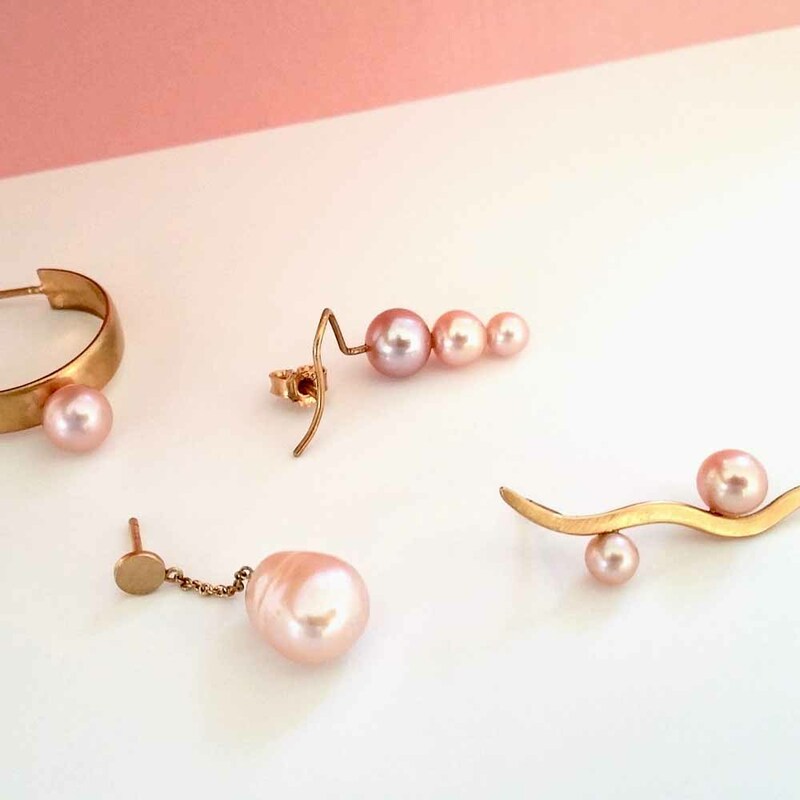 Just two weeks ago, the first earrings and necklaces landed in Mermaid Stories’ online shop. The start of a purist jewellery collection, and an homage to the dreamy world of the mermaid. Organic. Feminine. Modern. 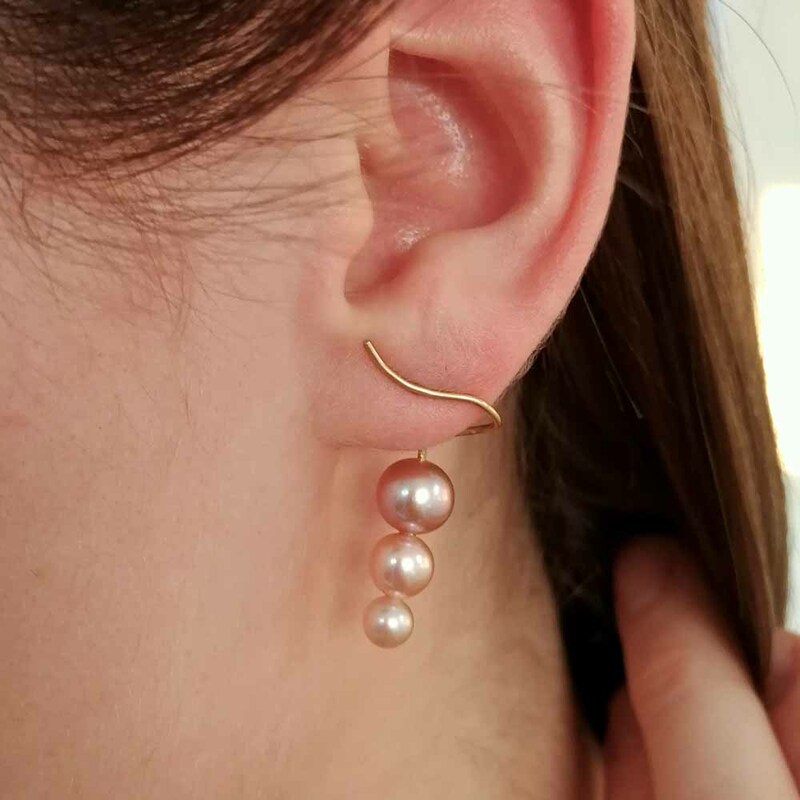 Made of freshwater pearls – a gift of nature. A jewellery collection full of subtle details. All pieces are made in the artist’s Copenhagen studio in the up-and-coming neighbourhood Amager. With a see breeze in the air and the sounds of seagulls up ahead – what could be more inspiring for this kind of a collection? It won’t be long before bracelets and rings are added to the growing selection of special accessories. 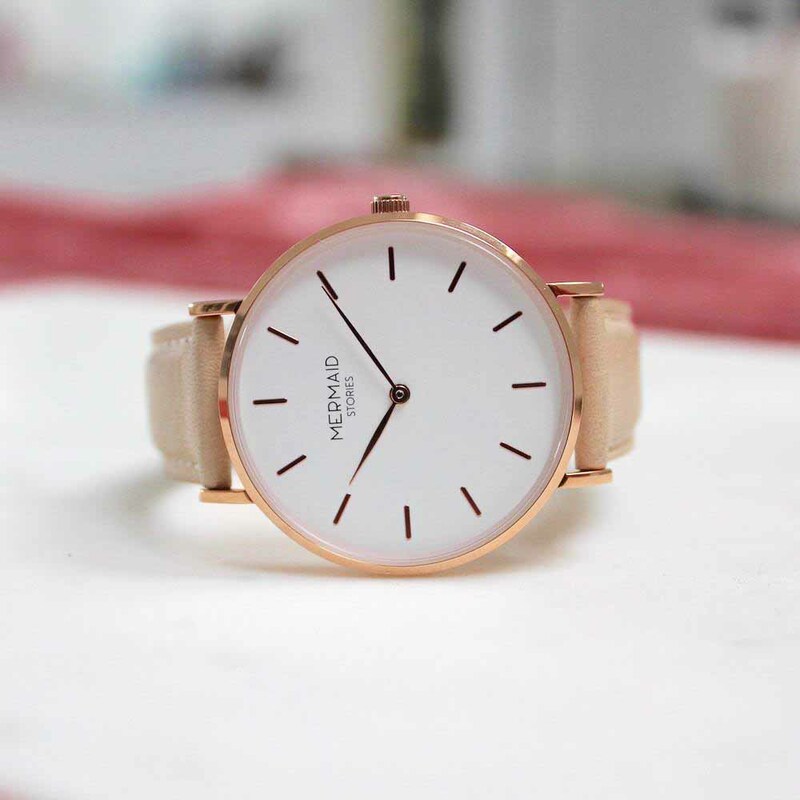 All Mermaid Stories watches and jewellery pieces can be ordered online and are even delivered free of charge, packaged as beautifully as the products themselves. And even including a personal letter and a small surprise. Or, as Victoria Weber would describe it: including "confetti feeling"!